We are refrigerator repair experts in Bend, Oregon. If your refrigerator is broken, we can help you. We know how frustrating it can be when all your food is getting spoiled, and your frozen food is melting. That’s why we try our hardest to get your refrigerator in great shape as fast as possible. We repair all brands and models of refrigerators. For example Asko, Bertazonni, Bosch, Dacor, DCS, Electrolux, Fisher&Paykel, Frigidaire, GE, Jenn-Air, KitchenAid, La Cornue, LG, Liebherr, Marvel, Miele, Perlick, Samsung, Siemens, Sub-Zero, Thermador, Traulsen, True, Viking, Whirlpool, Wolf and many more. It does not matter if your refrigerator is old or brand new our team will be able to repair it. Our technicians have a lot of experience fixing all kind of refrigerator. They are all factory trained and certified. That means they know everything there is to know about refrigerator repair and main. Our techs will be able to correctly diagnose what is wrong, order the right parts as needed and professionally install those parts. They are punctual and detail oriented. You can be sure that we will do the job right the first time. And of course, we clean up after ourselves. What makes our company different is the excellent customer service we offer. Our staff is always polite and helpful. Our scheduling is flexible. We will work around your schedule without a problem. 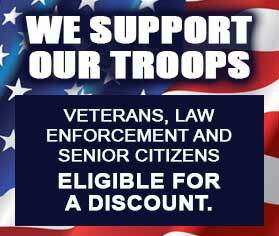 Also, we give you FREE service call with repair and FREE, accurate estimate. There is a warranty on both parts and labor available. Our skilled techs will make sure that your refrigerator will be working as good as new! 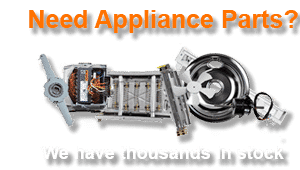 Oregon Appliance Repair has more than 30 years of experience doing refrigerator repair as well as other appliance-related services. We are family owned, and family operated a company. Our goal is to give our clients top notch professional appliance repair service at reasonable price. We strive to make the whole experience easy and convenient for you. Our service area includes Bend, Oregon including Awbrey Butte, Culver, Deschutes River Woods, Forest Crossing, Geneva, Grandview. Call us to find out if we service your area. Refrigerator repair is not the only thing we are good at. We can repair any appliance in your kitchen or laundry. Our company also excels at washer repair, dryer repair, dishwasher repair, stove and range repair, oven repair, steam oven repair, microwave repair, freezer repair, ice maker repair, barbecue repair, pizza oven repair, patio heater repair and much more. We also do commercial appliance repair for all the restaurants, cafeterias, catering companies in the area. Customer satisfaction guaranteed! For refrigerator repair call us at contact us at 541-948-8835 or fill out our short contact form. We will immediately schedule a convenient service appointment. Our skilled technician will gather the information about your refrigerator and will make sure to bring all the necessary tools and equipment. Sometimes we even bring the most commonly replaced parts with us. Our technician will inspect your refrigerator most thoroughly. Here are few of the things people complain about most. There are many different solutions to those problems. Sometimes all it takes is a little bit of tinkering, and your refrigerator will come back to life. But sometimes, it takes a while to figure out the real problem. Many more modern high-tech refrigerators have microcomputers. Those sometimes break or need to be reprogrammed. What ever the problem is, Oregon Appliance Repair tech will be able to find the best solution. We will order the new parts for you if necessary and professionally install them. After the job is complete, our tech will make sure your appliance is fully functional, safe, and plugged in. You will be happy with the refrigerator repair in Bend, OR or Portland, OR that we do. Good maintenance is the key to giving your appliance the longevity. Also, it helps with keeping the costs down. But it is often a hassle for you to keep all of your appliances well maintained. That is why Oregon Appliance Repair offers an easy professional maintenance plan for its customers. We will come and check all of your appliances or just the once you want us to check on an annual or bi-annual basis. Oregon Appliance Repair will fit this program around your needs. This service induces total check up of appliance functionality, changing filters, defrosting and cleaning of the internal mechanism. We will make sure your refrigerator is performing great. Our team will catch any problem before it becomes too big or expensive saving you time and money. This program is ideal for gourmet kitchen appliances and deluxe appliances but can work for any kitchen. We are an excellent choice for any refrigerator repair services. 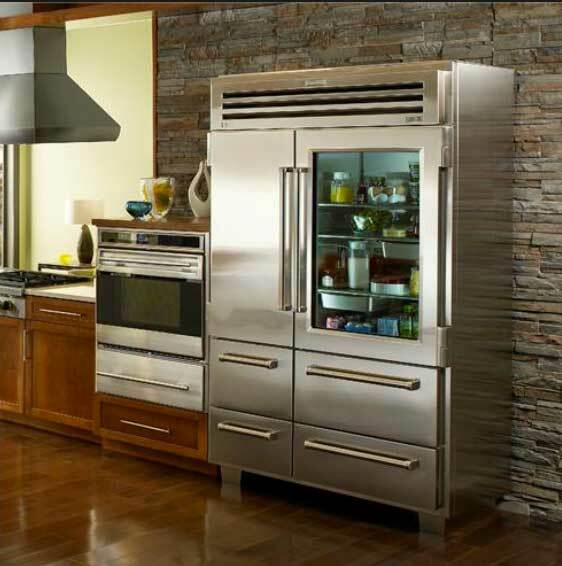 Our company has more than 30 years experience in dealing with refrigerators. We know every brand and model of the fridge on the market. It does not matter if your fridge is older or brand new, we will be able to find the best solution to all of your problems. Our technicians are factory trained and certified. They are up to date on all the newest developments in the appliance industry. When a brand new, high-tech refrigerator hits the market, we make sure to learn everything about it. But besides skills, we also have excellent customer service. Our company treats customers right. To schedule an appointment for refrigerator repair, please contact us at 541-948-8835 or fill out our short contact form. We will be happy to set up a convenient appointment for you. Our friendly and highly skilled licensed technicians will soon be on their way to repair your appliances. We do refrigerator repair Bend, Eugene, Portland, Central Oregon, Crook County, Deschutes County, and Jefferson County. We are refrigerator repair experts in Bend, Oregon. If your refrigerator is broken, we can help you. We know how frustrating it can be when all your food is getting spoiled, and your frozen food is melting.